Go to the page with the installed “Event Viewer” and choose calendar for displaying on current page. 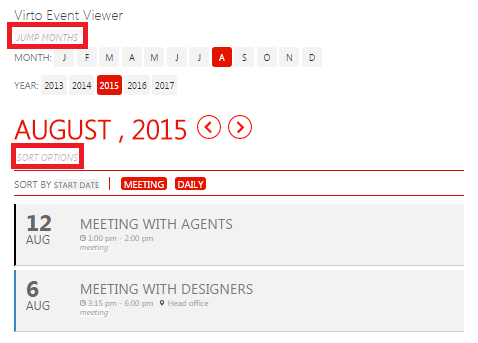 The calendar name in the web part settings must correspond to a name of one of created calendars. Now you have all your events in one convenient view. 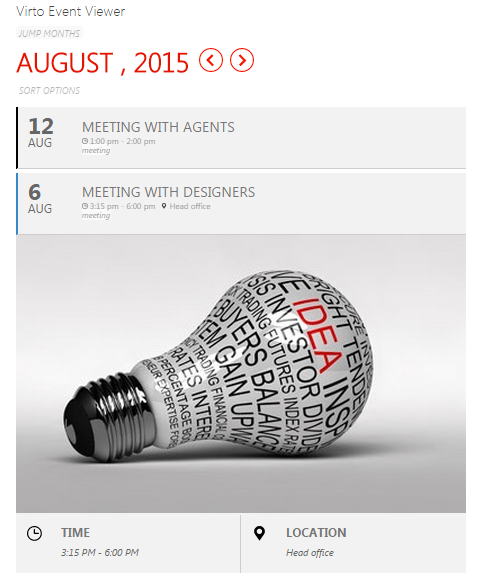 Special options allow you to select another month and apply event by chosen parameter.